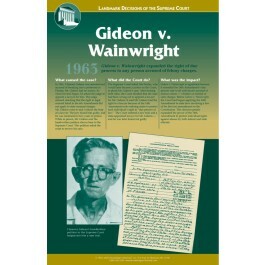 This poster focuses on the important Supreme Court case known as Gideon v. Wainwright. It clearly describes the events that led up to the case, the court's decision, and its impact on our nation. 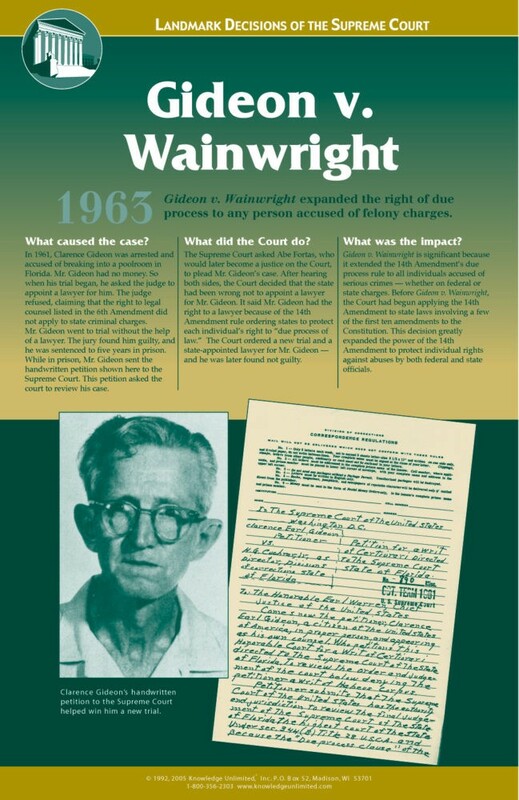 The Gideon v. Wainwright decision of 1963 expanded the 14th Amendment's right of due process to any person accused of felony charges. The poster is a great way to introduce students to one of the landmark decisions in protecting the rights of those accused of crimes.